Series produced by Says You! 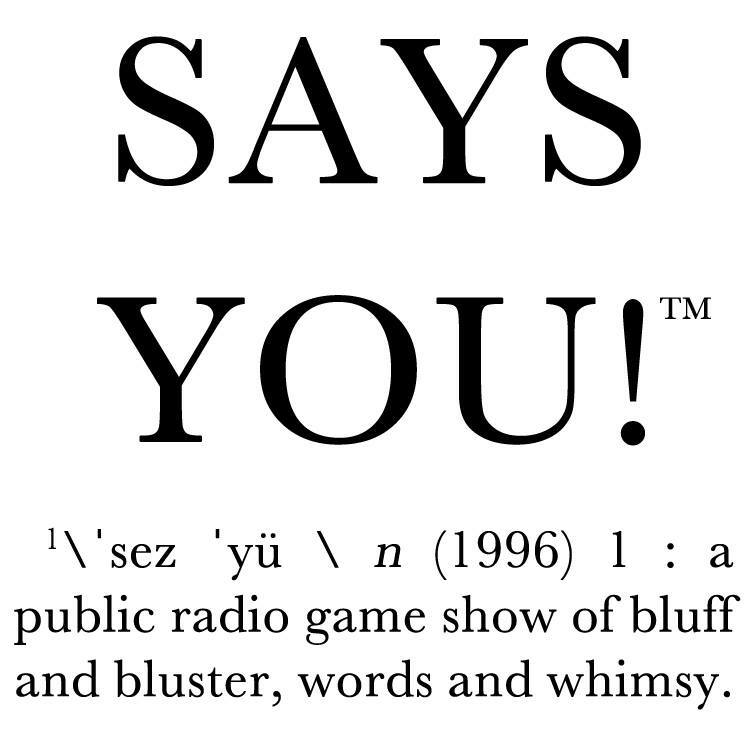 Subscribable series Half-hour version of Says You! Says You! is event radio played in front of live audiences nationwide. Dubbed "Parties for Smarties" by TIME magazine, two teams sharpen their wits and wordplay on each other's comebacks, engaging listeners week after week for over twenty years. As fresh as it is classic Says You! is to radio what Jeopardy is to television. Gregg Porter hosts this long-running (500 episodes and counting) game show that playfully transcends the question-and-answer format to become a hilarious, engaging, edgy exercise in recreational thinking. Our Motto: It isn't important to know the answers…it’s important to like the answers. Says You! is available by annual carriage fee. Please contact Laura Sher at laura.sher@saysyou.net for more information.